gringa.org: Rhinebeck and Better Than Ever! Rhinebeck and Better Than Ever! My first purchase at Rhinebeck was cotton. There, I said it. The thing is, I'm allergic to wool. And by "wool", I mean sheep's wool, angora, llama, and alpaca. 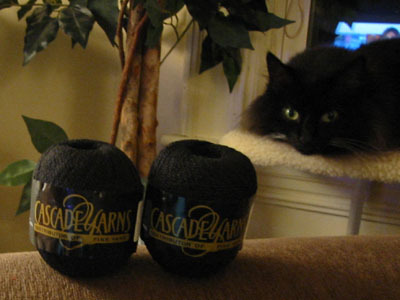 So while I've been wanting to make myself some socks for a few months, animal-free sock yarn is hard to come by. This Fixation was well priced, and I snapped it up before even realizing that I was probably committing some kind of Rhinebeck cardinal sin. A final note about my companions this weekend. Going to Rhinebeck with Alison is like going to Japan with Hideki Matsui. I met more cool knit-bloggers this way then I ever would have if I had gone on my own! And a special thank you to "the boys" -- both little and big -- for being such great sports while Alison and I touched every single skein of yarn in the fairgrounds. 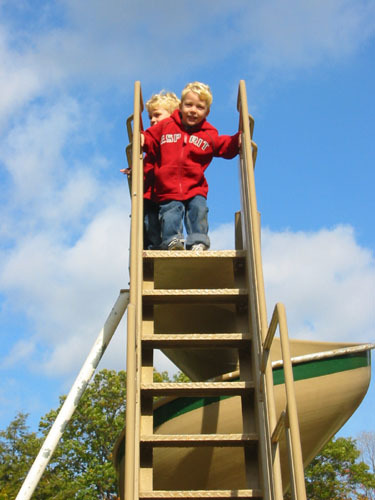 (Little) boys, enjoying a big slide. They were so much fun -- by the end of the second day at the fairgrounds, Benny was heard asking to "go see the yarn". Good boy! 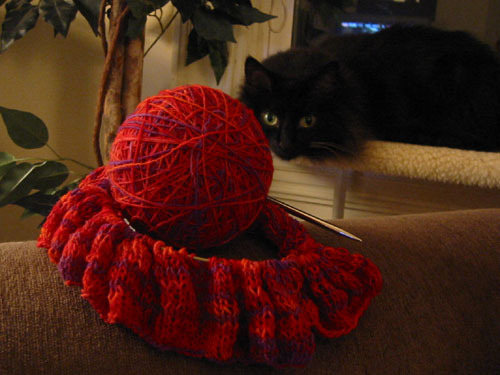 Usually when I take pictures of yarn, Boogie high-tails it out of the frame. Doesn't like having his picture taken without adequate prep-time I suppose. I fully expected that he would do the same tonight, but he stayed put. I think he makes a pretty cute background.